police during the Dola Melana procession in the village last night. 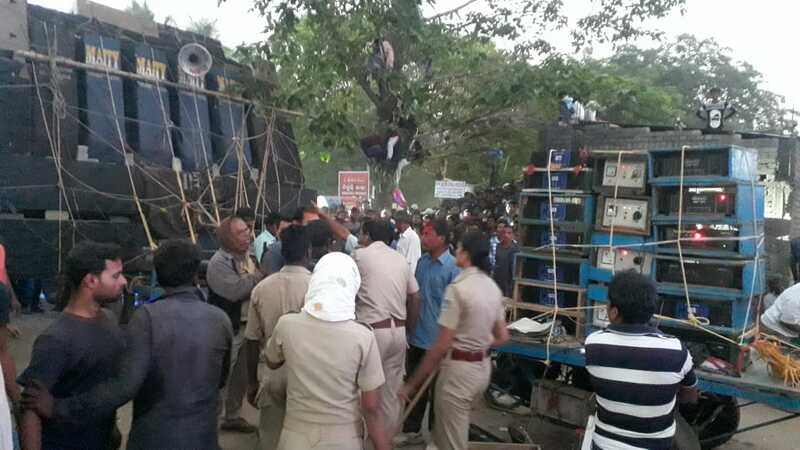 damaged DJ machines whose cost would be about Rs 5 lakh. played till late night, inviting police action. The villagers have now blocked the Dhamnagar road by burning tyres. that the tension doesn’t escalate further.